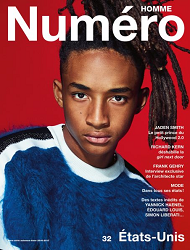 Actor, music artist and model Jaden Smith covers Numéro magazine‘s Autumn/Winter 2016-2017 issue. 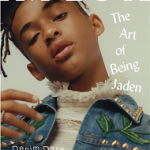 For this issue, Smith was photographed by Nathaniel Goldberg. 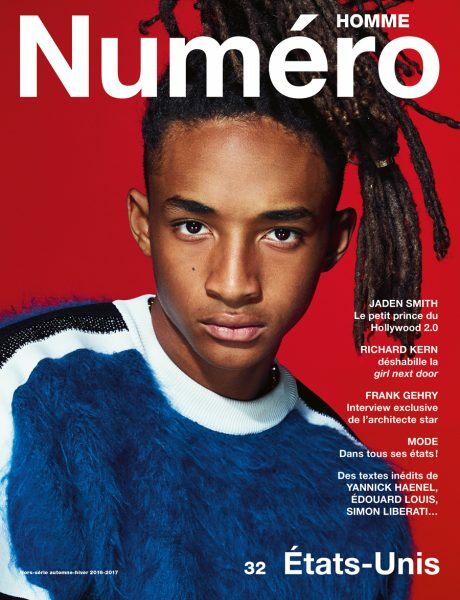 He wore a mohair and wool Louis Vuitton sweater on the cover. Inside, he rocked a cashmere and wool Louis Vuitton sweater, Louis Vuitton zippered sleeveless jacket in wool and silk and Louis Vuitton nylon parka. Head over to Numéro to read the cover story. 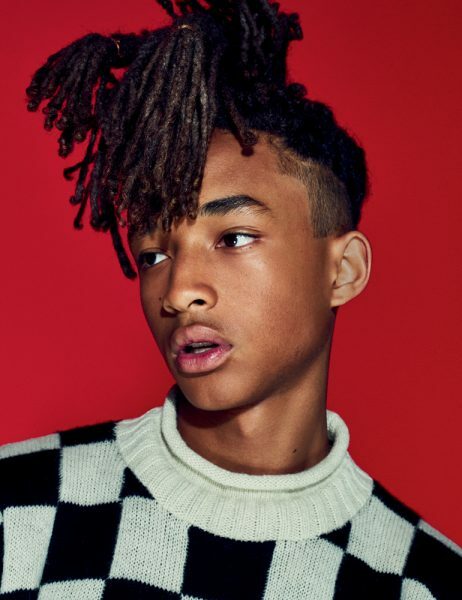 Smith recently covered Interview magazine’s September 2016 issue with his sister Willow (see it here), Variety’s ‘Power Of Young Hollywood’ issue (see it here), and British GQ Style Spring/Summer 2016 issue (see it here). He also appeared in the July/August 2016 issue of L’Uomo Vogue (see it here) and Vogue November 2015 (see it here). In the beginning of the year, Smith broke barriers by being the face of Nicolas Ghesquière‘s Louis Vuitton‘s Womenswear Campaign Series 4 (see it here).